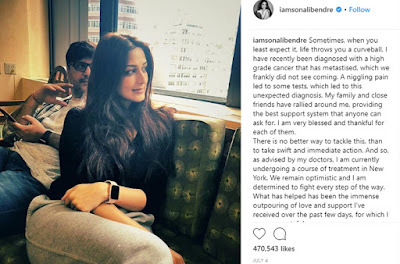 Sonali Bendre Battling Cancer, What is Metastatic Cancer? The human spirit is stronger than anything that can happen to it. 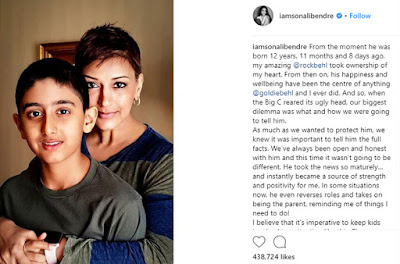 After the shocking news of Irffan Khan's brain cancer, we had barely bounced back that another one of our favourite actresses announced that she too was suffering from metastatic cancer. "Sometimes when you least expect it, life throws you a curve ball. I have recently been diagnosed with high-grade cancer that has metastasized which we frankly did not see coming. A niggling pain led to some tests, which led to this unexpected diagnosis. My family and close friends have rallied around me, around me, providing the best support system that anyone can ask for. 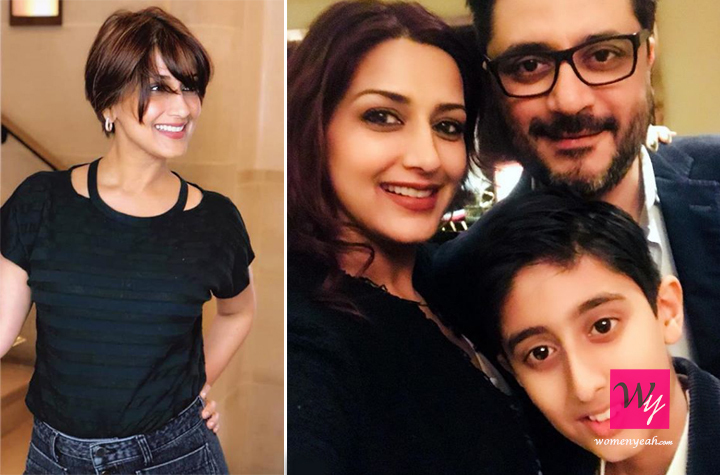 I am very blessed and thankful for each of them ." Leaving her fans and and shook with this news Sonali Bendre has now retreated to live her life as much as she can, surrounded with her loved ones. Considered as one of the most graceful actresses, she is fighting this battle for her life with the same grace. 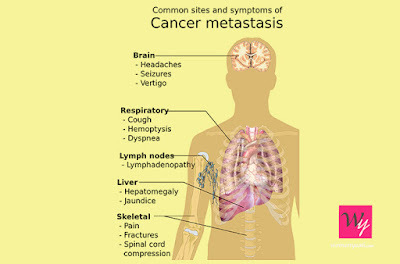 It is rather difficult to spot the symptoms of metastatic cancer as it does not always cause any direct discomfort. However, the common causes depend on the size and location of a tumour. You might feel a headache, seizure or nausea if it affects the brain, if a tumour is in lungs then you'll have shortness of breath. 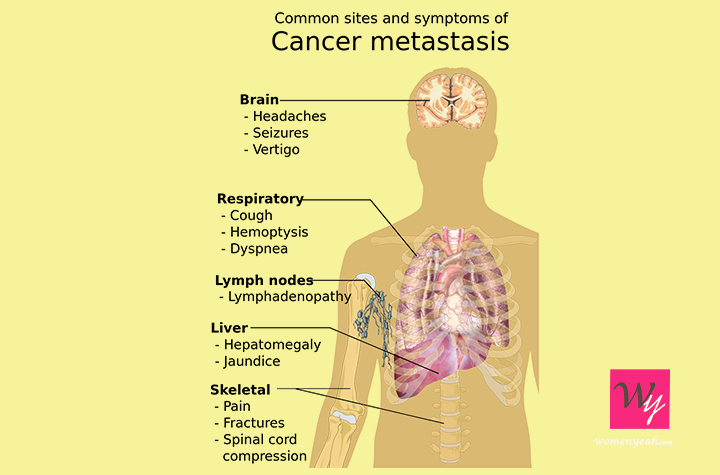 Metastatic cancer can spread to different parts of the body. While the primary sites are the bladder, breast, colon, uterus, melanoma, ovary, pancreas, stomach and thyroid, it can move on to the bone, liver, lung and brain. However, you can protect yourself against such diseases quite simply, all you have to do is lead a balanced lifestyle and proper diet. A few nutrients like Vitamin D, EGCG, ursolic acid, curcumin and sulforaphane can help keep cancer at bay. Green tea, eggs, salmon, mushroom, milk and a plant-based diet are a few foods on the list.